It is always lovely to hear from the readers of my blog. They are mainly my friends or family (I guess they feel obligated to support me). My friend, Dora Landey, sent me a photo of her lovely Spode Convolvulus pattern plate outlined in gold. We both thought you might enjoy seeing it. Pam Woolliscroft, who was the Curator of the Spode Museum in Stoke before it closed in 2008, sent a link to information about the Convolvulus pattern. 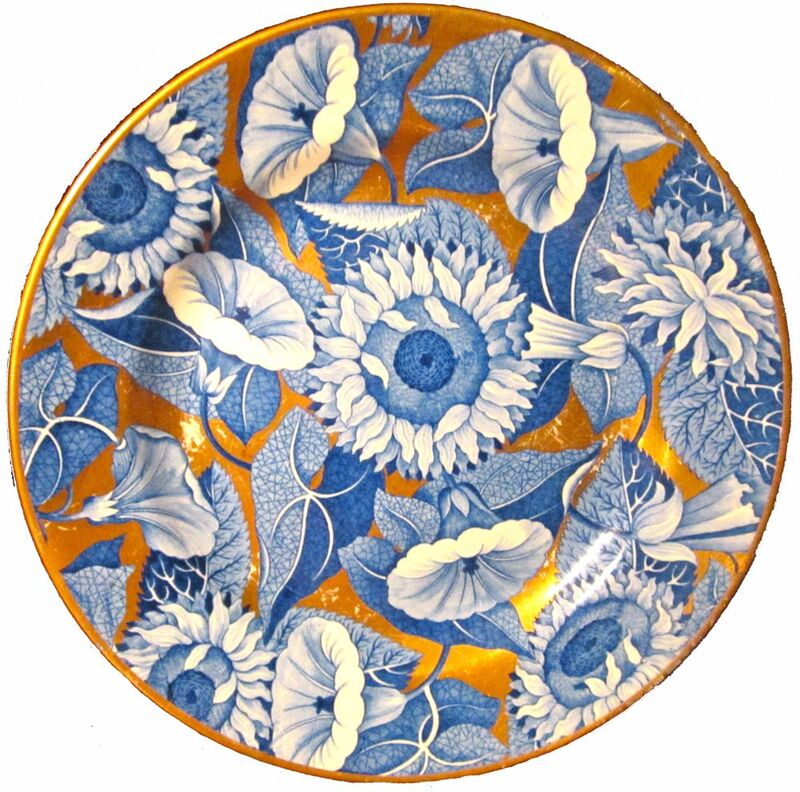 It is part of her excellent Spode History blog, http://spodehistory.blogspot.co.uk/p/spode-k-to-z.html (scroll down to Sheet Patterns). Pam also mentioned that she eats off of Convolvulus pattern plates every day. Of course, she uses the newer versions that Spode made at the end of the 20th century. I love this! What a gold mine! Thanks for taking the time to share all this.